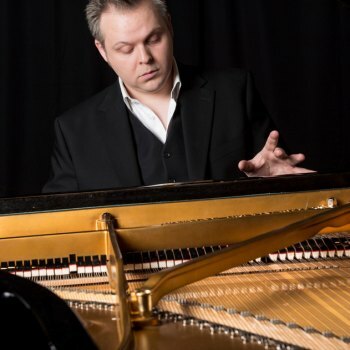 HUNTINGTON, W.Va. – German pianist Hinrich Alpers has been named the Joan C. Edwards Distinguished Professor in the Arts at Marshall University and will perform at 7:30 p.m. Friday, Jan. 19, in Smith Recital Hall on Marshall’s Huntington campus. Alpers was the first prize winner of the third International Telekom Beethoven Competition in Bonn, Germany, and laureate of Canada’s Honens International Piano Competition. This young artist – recognized for playing with maturity, youthful energy, versatility and sincerity — has performed at venues such as the Philharmonie Berlin and the Gasteig in Munich. He is artistic advisor to the Ottawa Chamber Music Festival and serves on the faculty of the Barenboim-Said Academy in Berlin. Alpers' solo recital at Marshall will include a milestone of the classical music repertoire: the piano sonata by 19th-century virtuoso Franz Liszt. Sponsored by Marshall’s School of Music and College of Arts and Media, the event is free and open to the public.